The Obama administration on Feb. 9 released a final budget request that proposes to continue increasing spending for programs to rebuild the U.S. nuclear triad as Defense Department officials repeated warnings that the modernization plans may become unsustainable. Comments by U.S. civilian and military officials suggest that several programs will hit their periods of peak spending at about the same time, forcing the U.S. government to choose between the nuclear modernization effort and other military priorities unless overall defense spending rises significantly above the levels currently projected. The Air Force and Navy are seeking approximately $3.6 billion in fiscal year 2017, which begins on Oct. 1, to build new fleets of intercontinental ballistic missiles (ICBMs), ballistic missile submarines, long-range bombers, and short-range tactical aircraft, an increase of roughly $1.2 billion, or 50 percent, over the amount that Congress approved for fiscal year 2016. The request keeps the expected production timeline for these programs largely on schedule. Meanwhile, the National Nuclear Security Administration (NNSA), a semiautonomous agency of the Energy Department, is requesting $9.2 billion for its nuclear weapons activities, an increase of almost $400 million, or 4 percent, above the enacted level for the current year. Overall, the administration requested $551 billion for national defense in fiscal year 2017. That figure includes the Defense Department’s regular budget activities and the Energy Department’s nuclear weapons programs. The highest-priority nuclear triad replacement program remains the Navy’s plan to replace its current fleet of 14 Ohio-class ballistic missile submarines with 12 new subs, called the Ohio replacement program. Under the Navy’s budget request, the program would receive $1.9 billion in fiscal year 2017, an increase of $360 million above the fiscal year 2016 appropriation. The request includes $1.1 billion in research and development and, for the first time, $778 million in advance procurement funding to build the first boat in the new class. 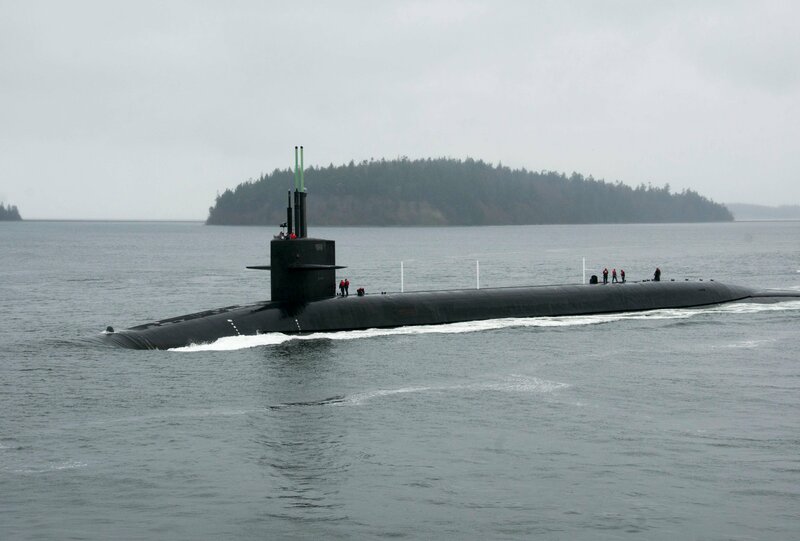 Navy officials have repeatedly warned that the service’s projected long-term budget is not large enough to accommodate the program to build the new submarines and meet its needs for conventional ships. (See ACT, October 2013.) The Navy estimates that the 12 planned boats, which are slated to be purchased between 2021 and 2035, will cost $139 billion to develop and build. In another high-profile program, proposed funding for the Air Force’s plan to build approximately 1,000 nuclear-capable cruise missiles in the coming years continues to rise. The service is seeking $95.6 million in fiscal year 2017 for research and development for a long-range standoff weapon, almost six times as much as the $16.1 million that Congress appropriated for the current fiscal year. The new standoff missile would replace the Air Force’s nuclear-armed air-launched cruise missile (ALCM), which has been operational since 1986. Government and think tank estimates suggest that the total cost of building the new missile and refurbishing the associated warhead would be about $25 billion over 20 years. In addition, the Air Force is seeking $1.4 billion in fiscal year 2017, an increase of $624 million over the fiscal year 2016 appropriation, for the program to build a new fleet of 80-100 nuclear-capable long-range strategic bombers. The new bombers are scheduled to enter service in the mid-2020s, and the entire fleet could cost more than $100 billion to produce, according to some nongovernmental estimates. In the budget documents, the Air Force said it is planning to request $12.1 billion for the new bomber program between fiscal years 2017 and 2021, a significant reduction relative to the five-year budget projection of $15.6 billion cited in last year’s budget documents. Carolyn Gleason, a senior Pentagon budget official, told reporters during the Feb. 9 briefings that the change reflects a revised cost estimate for the program in the wake of the awarding of a contract to Northrop Grumman last fall to build the bombers. The program to develop a replacement for the current force of land-based Minuteman III ICBMs also would get a boost under the administration’s request. The Air Force is requesting $114 million for the program, an increase of almost $39 million over the appropriation for the current fiscal year. The service is currently planning to procure 642 replacement missiles and update the existing missile infrastructure at an estimated cost of $62.3 billion over the next 30 years. (See ACT, July/August 2015.) According to the new budget documents, the projected deployment date for the replacement missiles is 2028. That represents slippage of a year since last year’s request. Air Force officials have expressed growing alarm about the cost of the service’s nuclear modernization plans. “Our problems become unmanageable” when the costs for the ICBM replacement program begin to peak, said Lt. Gen. James Holmes, the Air Force’s deputy chief of staff for strategic plans and requirements, at a Feb. 12 press briefing at the Pentagon. The NNSA is requesting $220 million to refurbish the existing ALCM warhead that would be delivered by the new ALCM under development by the Air Force. That is an increase of $25.2 million above the fiscal year 2016 appropriation. The NNSA weapons budget also would increase funding to update a key part of the W88 submarine-launched ballistic missile warhead and build a new uranium-processing facility at Oak Ridge National Laboratory in Tennessee. In contrast, the budget would slightly decrease spending to rebuild the B61 gravity bomb. 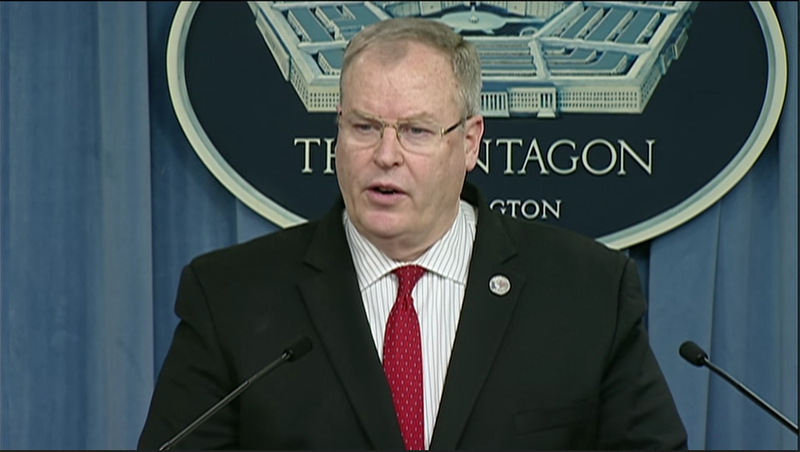 In a Feb. 10 press call with reporters, retired Lt. Gen. Frank Klotz, the NNSA administrator, said the NNSA is facing a “formidable” planned increase in spending on life extension programs and infrastructure improvements. Peak funding for these efforts occurs earlier than the Defense Department’s expected peak funding years for triad modernization, he said.